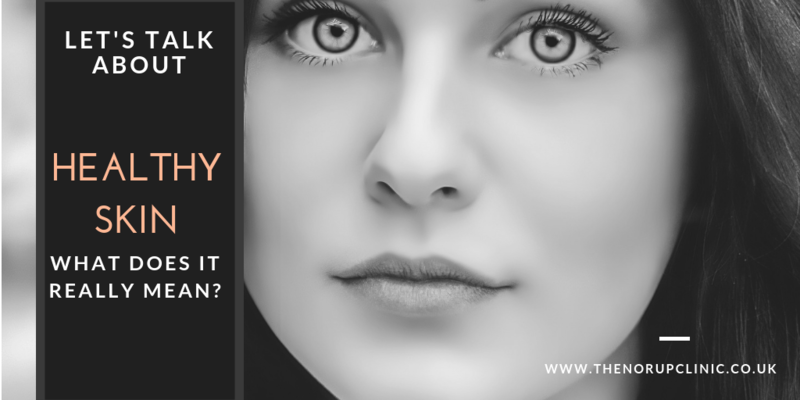 Is your skin healthy or unhealthy? How can you tell the difference? What does healthy skin look like? Knowing the answers to these commonly asked questions is the first step in knowing how you should be taking care of your skin. So, let’s start by determining what healthy skin looks like. Even in Color: This means normal healthy pigmentation. Original skin types: white, black and Asian that have not been genetically mixed are more stable compared to mixed races, which will have more pigmentation problems. Harmful pigmentation can increase with added sebum in the skin, sun damage, and chemical and physical exposure. Smooth Texture: Effective exfoliation that creates soft and gelatinous Keratin as opposed to rough looking skin, which means hard keratin, which is often misinterpreted as dry. Dull skin simply looks dull if there is an excess amount of dead skin cells on the surface. Hydration: Skin can only be hydrated with a strong barrier function and with sufficient natural moisturising factors. UV sun damage and sebum break down the skin barrier and the hydration leaks out. In addition, poor cellular function in the dermis results in insufficient water retention. 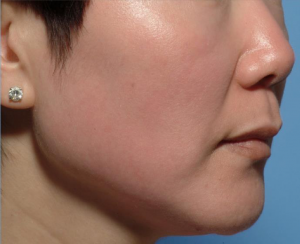 Firmness and Tightness: Plenty of collagen type 1 and elastin. 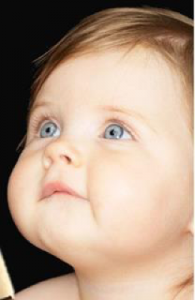 If there is little or no collagen or elastin the skin is lax. UV damage destroys collagen and elastin and if not applied correctly, some laser procedures result in the formation of the wrong collagen type. Type 3 collagen is the same as scar tissue. It is hard and tight, not soft and spongy. Tolerance: Strong barrier function with proper cell function, a low amount of free radicals and free of inflammation. Even Contour: A full and spongy looking skin due to plenty of lovely spongy collagen and hydration. A healthy epidermis and dermis. Good fat content (nutrition without sugars and alcohol) means that the fat compartments in the face (or body) stores in a balanced way. Now that you know what healthy skin should look like and feel. What’s the road to recovery? Increase cell turnover to create healthy, strong skin. 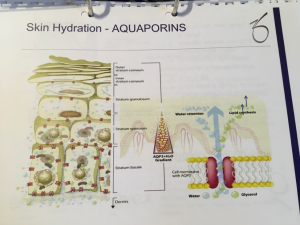 It is important because a healthy epidermis protects the water, lipid and protein barrier (skin barrier), restores the barrier-function and prevents sensitivity. The Norup Clinic can help achieve a healthy epidermis through advanced exfoliation techniques, which encourages cell turnover and improves overall skin texture. A healthy dermis is defined by active cells that stimulate collagen, elastin, GAGs and NMFs, which are chemicals that bind water molecules and control natural hydration, which result in visible firm skin with an even texture. We’ve all unintentionally done things that damage our skin. A prime example is long-term usage of conventional moisturisers which can have an adverse effect on the skin’s natural function and go against true skin health. Conventional moisturisers can act as an artificial barrier function that impairs the skin’s own barrier function to do its job. Over-moisturising leads to sensitive and dysfunctional skin, dryness and accelerated skin ageing. Cells go to sleep, get lazy and don’t function at optimum levels. This results in a reduced rate of natural exfoliation, which in turn sends signals to important cells below, telling them to slow down. “This dependency weakens the skin and offers minimal barrier repair”. Dr Z Obagi, renowned skin specialist. When the skin is weakened we encounter chronic inflammation caused by sebum (excess oil), smoking, allergens, pollution, sugars and alcohol causing free radical cells – leading to among other things to premature wrinkles. Restore the skin barrier and reduce skin sensitivity by using advanced skincare products that help exfoliate, reduce sebum production, restore the skin barrier-function and provide protection. Prevent and control acne, rosacea, shaving bumps, skin pigmentation, enlarged pores and rough, damaged skin texture. With this covered, you are on the road to beautiful skin. However, this can seem easier said than done, so we’ve created this step by step guide. – It is important to wear and SPF 30+ every day. Sun damage is the biggest cause of skin ageing.